This post contains affiliate links as part of the Amazon Affiliates program. We only recommend products we trust. Have you ever wondered why you feel better after going outside? Or why your body might feel more relaxed when inside a forest of trees or gazing at a sunset over the ocean? Nature is just one of the endless healing experiences we as humans are gifted with. And for the most part, it's free. It might make us feel great in our minds to go to the beach or a lake house for the weekend, but can it actually provide physical health benefits? 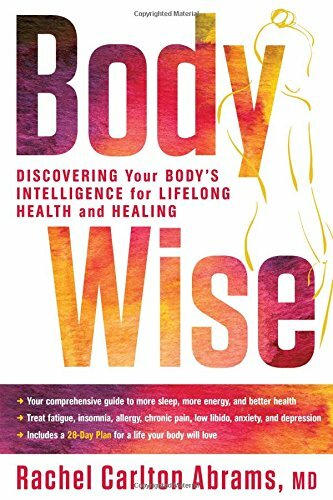 I was naturally directed to a book called BodyWise via an excellent interview on the Rich Roll Podcast that went in-depth with the book's author, Stanford graduate Dr. Rachel Carleton Abrams. You can read her impressive bio here. The book is an excellent read that sheds light on a growing ailment in her practice that Dr. Abrams dubs "chronic body depletion", an umbrella term that envelopes issues such as high blood pressure, weight gain, exhaustion, anxiety, depression, and (you guessed it) auto-immune disease. She argues that these physical signs-- while frustrating and seemingly inhibitory-- are manifestations of a body simply doing its job: signaling a problem. Why would a highly trained medical professional prescribe anything other than medication? From improving vitamin D absorption, having cancer-auto-immune-disease-fighting benefits, battling depression and anxiety, boosting creativity, and lowering blood pressure, the fact is that simply being outside (bonus points for meditating outside or going with a group of friends) can have enormously positive impacts on your health. It turns out that listening to your body when it craves a weekend trip or getaway is actually a very positive way to improve your health. We all know that stress can cause health problems, but I had no idea that stress alone (regardless of diet) could eventually lead to a significantly increased risk of developing auto immune disease. While medical experts fully acknowledge that genetics and uncontrollable environmental factors are at play in the development of disease, the experience of life as our minds perceive it (i.e. stress and mental health) may be just as important. An excellent collection of searchable "adventures" written in detail by bloggers and adventurers. They outline what supplies to bring, how long the excursion should take, and include instructions on how to get there, where to park, and what parts of the trail or surrounding area look like. It's free to make an account! A growing database of public lands, farm plots, and other possible campgrounds that allows you to either reserve a spot or contact the owner with questions for rules about staying. Listings are very popular in California, and are spreading to cover the entire country! They hope to be the AirBnB of camping, and it looks pretty awesome. An app that touts immersive audible walking tours of select cities across the globe. Included on the list are places such as: Austin, San Francisco, and Berlin. Pop in earbuds and join in a social audio tour experience, and get outside while you're at it! Try out one (or all) of these methods, or just go for a walk outside your home! If you liked this post, you'll love the newsletter!